There were four of us: a biologist, an anthropologist, a surveyor, and a psychologist. I was the biologist. All of us were woman this time, chosen as part of the complex set of variables that governed sending the expeditions. The psychologist, who was older than the rest of us, served as the expedition's leader. She had put us all under hypnosis to cross the border, to make sure we remained calm. It took four days of hard hiking after crossing the border to reach the coast. An exploratory team has been sent into an abandoned area of Florida that has been mysteriously cut off from the rest of the planet for many years. The ill-defined border appeared many years ago - this is the twelfth such expedition; members of previous teams have either vanished completely or eventually reappeared vaguely altered and disinterested in explaining their experiences. At first, "Area X" is only weird in subtle ways but soon the team finds reasons to think that the region's reputation is well founded. Annihilation is a study in unease. It is pretty clear from the beginning that nothing is quite what it seems, either to the protagonist or to the reader. Slowly and surely, VanderMeer ratchets up the tension and dread as things get more overtly horrific. This is a hard book to put down. 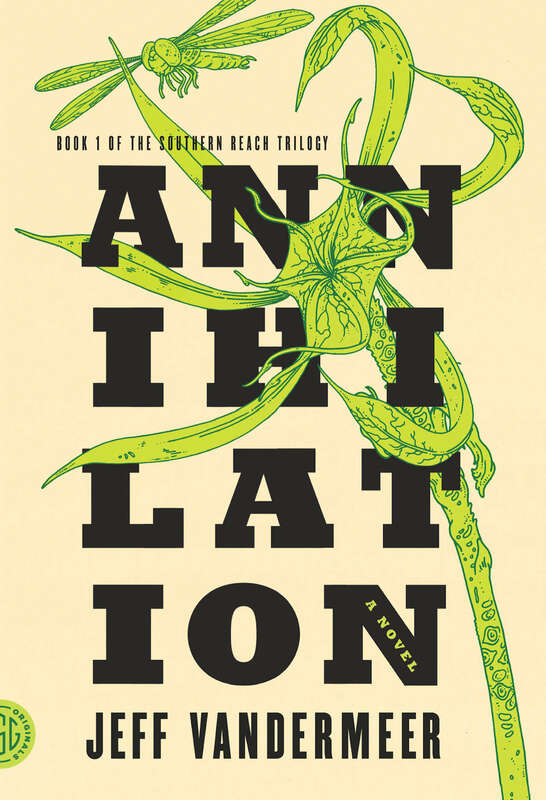 It would be wrong to classify Annihilation as a pure horror novel, although comparisons to Stephen King and H.P. Lovecraft could be made. The idea of a forbidden region of land possessing strange rules is also very reminiscent of the film Stalker I watched Stalker last year and wrote some notes, although from a more terrible aspect. I really enjoyed Annihilation - it is a short novel Actually the first in a series of three that were released the same year that moves quickly - the terse style really fitting the what is supposed to be the first person account of a very direct woman having a bad week. It is almost like an extended short story in tone and structure, it only took me a couple of hours to read but the echos of Annihilation have yet to fade in my brain, even after a week. Maybe not for everyone, but I recommend Annihilation.